The fact that I’m flying over some of the most beautiful & oldest cultural cities in the world right now is beyond me. There’s a digital world map on the TV screen that shows exactly where our plane is flying, & after miles and miles of Atlantic Ocean (plus Greenland! 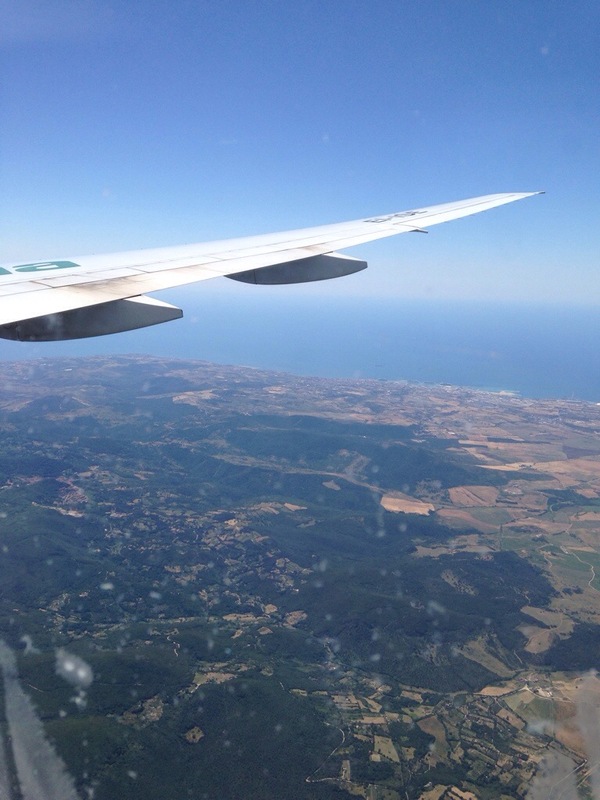 ), we’re finally flying over Europe! We passed through Ireland and the UK, went right over London, and now we are soaring somewhere between France and Germany… I can’t believe it’s all right down there below, especially how close everything is. I can’t even believe i’m here, on this side of the world. I can see how close everything is- Madrid, Athens, Brussels, Berlin, Geneva! It’s finally hit me that I am ACTUALLY IN FREAKIN’ EUROPE. I’ve dreamed about this moment my whole life, & here it is. OKAY WOW. The flight has been pretty smooth, although really cramped and my neck is stiff from sitting down. 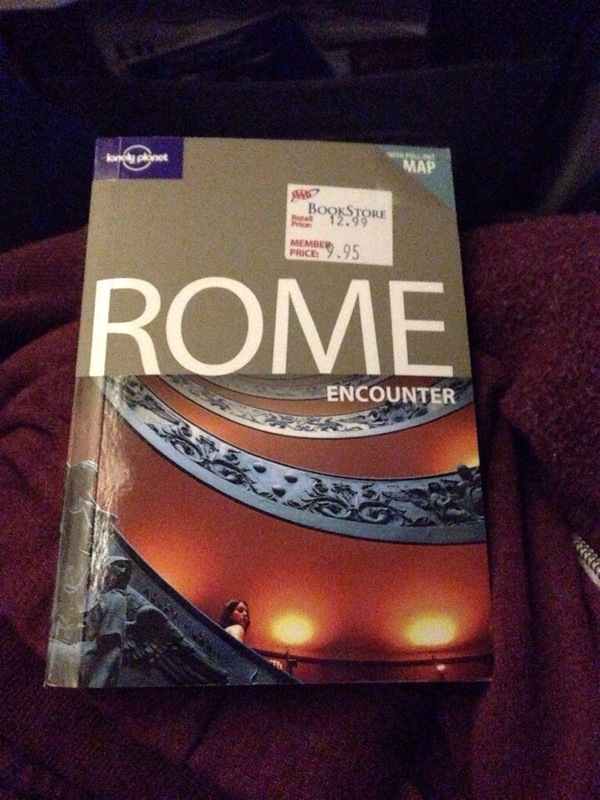 We’ve got about an hour until landing & I’m going to busy myself reading this Rome Encounter book my Uncle Paul gave me, try to learn a little basic Italian, & really try to immerse myself into everything this country has to offer. After all, it’s two weeks right? If I’m gonna do this I’m gonna do this! Arrividerci, & see you in Roma!